Welcome to a special edition of PuzzleNation Blog’s interview feature, 5 Questions! Normally, I’d be posting a new interview with a puzzle constructor, game designer, puzzle enthusiast, or a member of any other creative field that enriches the world in a puzzly way. But instead, today I thought I’d reach out to our 5 Questions alumni and bring you news on what they’ve been up to since their sessions of 5 Questions. First off, puzzle constructor Trip Payne’s new Puzzle Extravaganza launches tomorrow, August 1! You can still sign up through the end of August, and the extravaganza is only $10 (a little more for bonus puzzles). Put your puzzly skills to the test against a topnotch constructor who has contributed to dozens of newspapers, outlets, and puzzle books, including Will Shortz’s WordPlay! 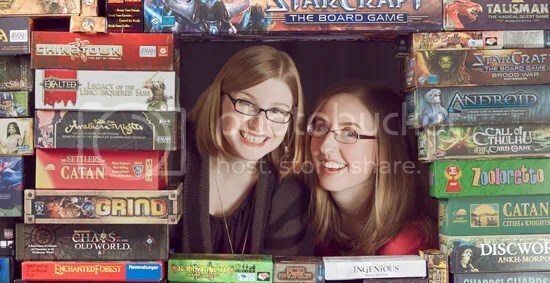 Next up, the dynamic duo of Aubrey and Angela, better known as The Doubleclicks, are continuing to fulfill all the promises made in the Kickstarter fundraising campaign for their newest album, Dimetrodon! And they’re currently touring across the Midwest and East Coast! Their ambitious schedule of venues includes Toronto, Boston, Brooklyn, and plenty of other cities, many that will experience the Doubleclicks live for the very first time! In addition, they’ve just completed their Weekly Song Wednesday project, where they posted a new song and video every Wednesday for ten weeks. You can visit their YouTube page to explore all sorts of delightful content fit for puzzlers and game fans of all ages. And lastly, I have some exciting updates from BaffleDazzle founder Rachel Happen. 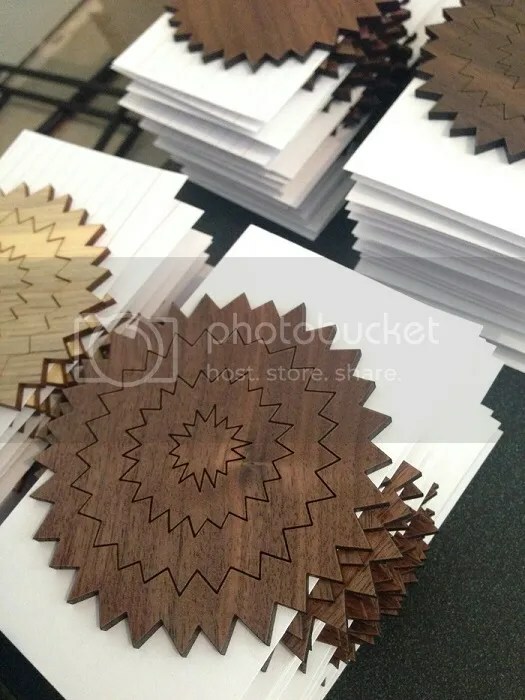 After launching a tremendous Kickstarter campaign to fund BaffleDazzle’s first line of jigsaw-inspired puzzles, Rachel recently sent her Kickstarter backers an update on how the production phase is going. So far, she’s on target to deliver all of her promised puzzles by the end of August! As a one-woman puzzle-making machine, Rachel is exceeding expectations on all fronts, not only redesigning and improving every aspect of the looming delivery process, but designing brand new bonuses to include. These are just a few examples of puzzly people doing amazing, entertaining, fascinating things, and I’m glad I’m lucky enough to share their work with you, my fellow puzzlers. Welcome to PuzzleNation’s first ever Follow-Up Friday! Follow-Up Friday is a chance for us to revisit the subjects of previous posts and update you, the PuzzleNation faithful, on how these projects are doing and what these people have been up to in the meantime. Today, I’ve got a few short updates for you. First, there’s a terrific new puzzle book out there created by Ian Livengood, New York Times Crossword constructor (and our very first 5 Questions interviewee). 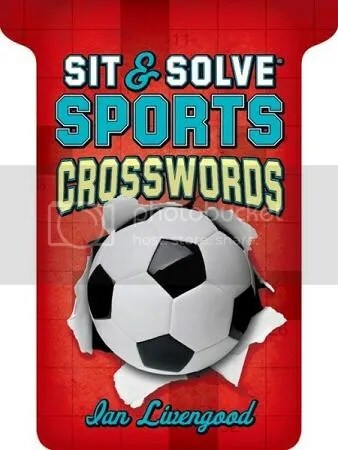 The book is Sit & Solve Sports Crosswords, and it’s not only affordable, but it’s designed to fit right in your pocket for easy travel! Spanning sports from baseball and soccer to hockey and basketball, you’re sure to find a puzzle here to excite your inner sports fan! You can get it through Barnes & Noble or Amazon! Now, I’d like to revisit two of the Kickstarter campaigns I profiled back in February. They CRUSHED their goal of $18,000 dollars, eventually topping $80,000 and ensuring their musical magic would keep them both very busy for the next year and beyond. Congratulations Angela and Aubrey! The unique design of this Kickstarter campaign allowed backers to choose the number of decks of Pairs card game variants they would receive in return for their money. So the better the Kickstarter campaign did, the more game variants they would have to choose from after the campaign closed. Thanks for visiting the PuzzleNation blog today! You can like us on Facebook, follow us on Twitter, cruise our boards on Pinterest, check out our Tumblr, download our puzzle apps and iBooks, play our games at PuzzleNation.com, or contact us here at the blog! Welcome to a marvelously musical edition of PuzzleNation Blog’s interview feature, 5 Questions! And I’m overjoyed to have The Doubleclicks as our latest 5 Questions interviewees! The Doubleclicks are Angela and Aubrey Webber, two Portland-based sisters who spin musical magic with cellos, guitars, and catboards (keyboards that meow). Advocates for science education, geeky self-esteem (especially for girl geeks), and the joyful fusion of cats and Netflix, their relentless charm has made them a favorite at conventions and game stores alike. On the heels of their phenomenally successful Kickstarter campaign, they’re preparing for a flurry of upcoming tour dates, and that’s just the beginning of all the Doubleclicks goodness you can expect in 2014. Angela and Aubrey were gracious enough to take some time out to talk to us, so without further ado, let’s get to the interview! 1.) You’ve created marvelous and charming songs about Agent Coulson of S.H.I.E.L.D., dinosaurs, teddy bears, and the guy who yells “Freebird” at concerts. Can you tell us a little bit about how you choose what instruments and arrangements you’ll use for a given song? That seems like a puzzly endeavor in itself. Great question! Some choices are obvious when it comes to arrangement: if we write a Christmas song, for example, it’s likely there will be some jingle bells. We try to mix up our style, and fortunately with a cello there are a lot of options: from a Tango to a rock song, depending on whether we are trying to go for a parody of style (like the Freebird song) or a genuine take (like our lullaby). 2.) You have a strong connection to the board game community, with your signature dice, your collaborations with creators like James Ernest and Mike Selinker, and your recent appearance on Wil Wheaton’s internet board game show TableTop. 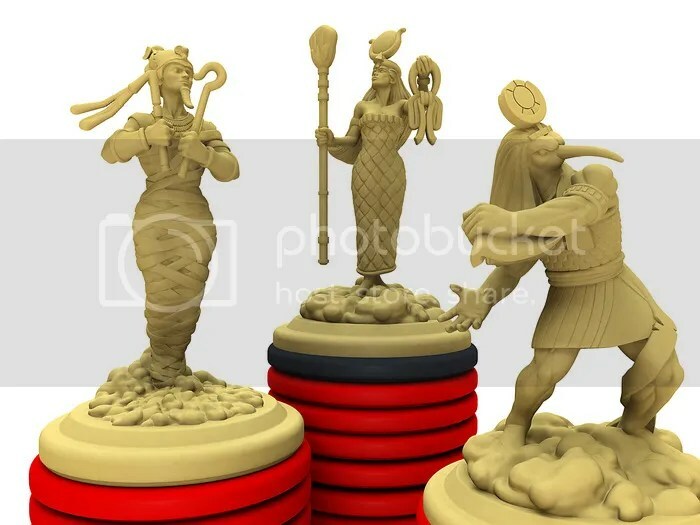 Since music and board games are both very cooperative endeavors, are they worlds that mesh well together, or is there something in particular about the Doubleclicks that invites such synergy? Shortly after starting our band, we released a music video for our song about Dungeons & Dragons, and after that we started being invited to play at conventions. We’ve always been game fans, but going to these cons as performers afforded us a new opportunity: to actually meet the people who make these games, which is really, really, super, awesome. I think the subject matter of the songs and the content of our hearts makes us want to hang with game designers. And we are super serious about making a Doubleclicks card or board game sometime soon. 3.) During your recent Google Hangout when you discussed your Kickstarter campaign, you mentioned you don’t have a lot of time for puzzles, but you enjoy them. On the rare occasion you do get to indulge in some puzzle fun, what are your favorites? We were introduced to the puzzling word properly thanks to Team Snout, puzzle creators of amazing quality here in Portland. They’re involved in an event called Puzzled Pint which is like EXTREME pub trivia (except puzzles), and that is just a huge awesome fun time. They also involved us in a big event called WarTron a couple years ago in which they actually embedded a puzzle in our setlist, which was awesome. 4.) What’s next for the Doubleclicks? We just wrapped up a Kickstarter that will keep us busy for at least a year. We’ll be releasing an album this spring as well as new songs and videos every month all year, and we’ll have a season of weekly songs during the summer. It’s going to be a really busy year and we are excited. 5.) If you could give the readers, writers, aspiring musicians, and puzzle fans in the audience one piece of advice, what would it be? Make great friends and be involved in interesting things: if you’re a musician, play games. If you’re a game designer, get super into cooking. Also, the LEGO movie is really good. Many thanks to Angela and Aubrey for their time. 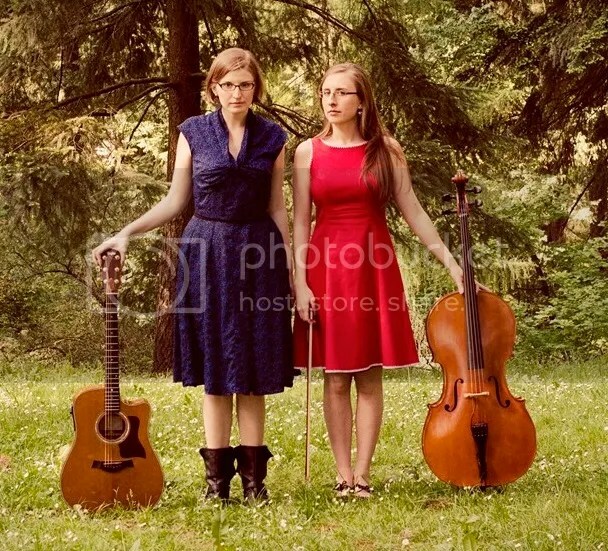 Check out their website for all things Doubleclicks, and be sure to follow them on Twitter (@thedoubleclicks) and Facebook, sample their music on Bandcamp, and subscribe to their YouTube channel for videos and other treats! I cannot wait to see what they create over the coming year. Let’s get this party (kick)started! The newest tool in the arsenal of big thinkers and big dreamers is crowdfunding, wherein creators take their ideas directly to the people in the hopes that a lot of small donations will add up into capital to make their ideas reality. Websites like Kickstarter and Indiegogo have literally made dreams come true, and that’s as true for puzzle entrepreneurs as anyone else. Many top-tier constructors are going straight to the fanbase with their puzzles, and with marvelous results. Constructors like Trip Payne, Eric Berlin, and Matt Gaffney have all had success on Kickstarter and Indiegogo with previous campaigns. And I wanted to spread the world about some other puzzly endeavors that might interest the PuzzleNation readership. 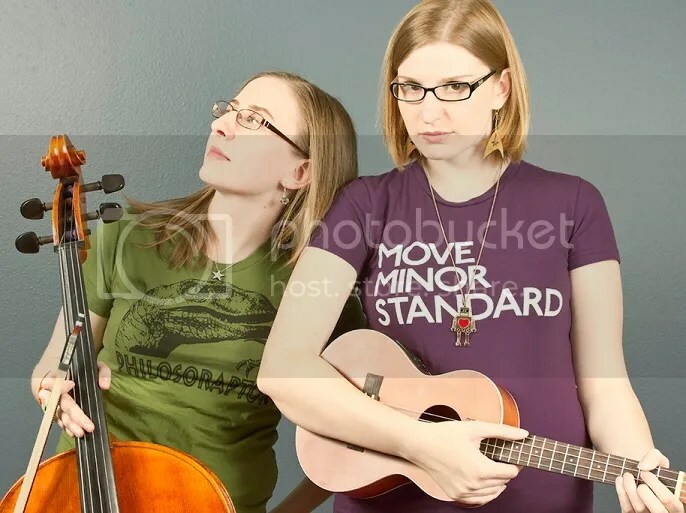 There’s only a few hours left in the kickstarter campaign for musical duo the Doubleclicks. Pairs, a card game for two to eight players, was just launched yesterday by the folks at Cheapass Games. A 5-minute card game where the goal is to NOT gain points, Pairs is designed to be easy to learn and easy to play. Apps and online games have also gotten into crowdfunding. There’s Colorino, a color-matching strategy app that would appeal to the Candy Crush crowd, as well as Puzzle Nuts 2. 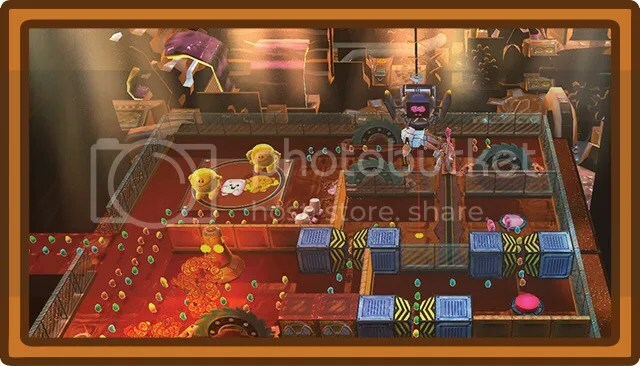 A sequel to the physics-based puzzle game Puzzle Nuts, Puzzle Nuts 2 challenges players to negotiate different contraptions and figure out how to transport all of their acorns from one end of the screen to the other. Fans of Angry Birds, Cut the Rope, and other mechanical-style puzzles could find plenty to enjoy here. And then there’s Steam-Donkey, a card game where you try to attract visitors to your steampunk beachside resort. With ne’er-do-wells all around, it’s a game with emphasis on art and characters with a curiously distinct flair all its own. Sweet Escape is a platformer strategy app where you try to lead walking bits of candy to safety while dealing with all sorts of obstacles and threats inside a bizarre factory. 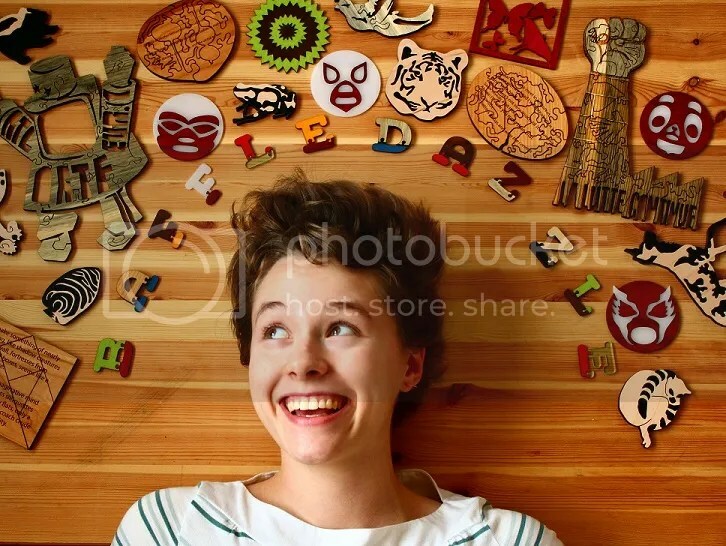 Finally, over on indiegogo, we have PuzzleFix, a photo jigsaw puzzle game actually encourages people to submit their own photographs to become new puzzles. The amazing thing about all of these projects is that the audience, the potential fans, have an enormous role to play in not only sharing their thoughts with game and puzzle creators, but they can show their support for designers and projects they believe in, and do so in a meaningful way. I’ve contributed to several of these campaigns with high hopes, and I can’t wait to see how they turn out.